The Olympic Games has long been hold up as the highest standard of sporting excellence but it has also been described as the pinnacle of sporting purity. For many years, the Olympic Games were associated with amateurs battling it out for a love of their sport and a desire to be the best in the world. It is fair to say that the modern Olympic Games is very different from this scenario. There are professionals at the peak of their power taking part in many of the events and there are major endorsement deals for a huge number of participants. It is fair to say that the ideals held by many at the Olympics are now in the minority as opposed to the majority. There will be some people who are sad about this news but there will also be many people who consider this to be progress. Sport is about excitement and drama, and this comes with the leading athletes in the game. You only have to look at the inclusion of the US basketball team to see the excitement and high level of play that comes from bringing in the top level players. There is also another indicator that the Olympic Games has moved on and this is the fact that the Nevada Gaming Control Board has allowed bets to be placed on events at the Olympic Games. This is the first time this has been allowed to happen since the practice was outlawed back in 2001. 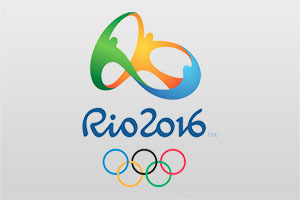 Betting industry experts believe that around $20m to $30m will be placed on bets during the Olympic Games in Rio. Compared to the level of bets that are regularly placed in this part of the world, it isn’t huge money, but it is enough to make people sit up and notice. What is very interesting is the fact that one of the leading Directors in the area believes that 70% of bets placed during the Olympic Games will be placed on men’s basketball games. This is the opinion of Jay Rood, who is the Director of Race and Sports Books for MGM Resorts. While there will be betting activity on all basketball games, the vast majority of games will only see a small amount of money wagered. The Gold medal game will be the most popular game but even then, that is only likely to be a 10th or so of the standard amount of money placed on a NBA Finals match. This isn’t a criticism of the amount of money that is being bet on the Olympic Games, it is more of an indicator of the huge sums of money involved with the leading NBA games. The fact that English and European bookmakers were happy to accept bets for the 2012 Olympic Games in London caught many of the Nevada professionals on the hop. This led to the push for legislation change and this was brought into effect last year. Basketball leads the way and while there are a number of Olympic events which hold no interest for the bookmakers, basketball, hockey, volleyball and the track and field events are likely to be on offer this summer when the action rages on in Brazil. With many bookmakers unaware of the teams and players involved with these basketball games, there may be some scope to take advantage of bad pricing for the 2016 Olympic Games. At this moment in time, many bookmaking professionals are scouring the globe for basketball information and guides to ensure that they effectively measure the merit of each team and individual. The on court action in Rio 2016 is going to be interesting enough but if you are looking for additional excitement, keep an eye on the individual offers being provided for the basketball games. The USA remain favourites at 1.071, Spain come in at 11.00 while France are listed at 15.00.